No one is too young or too old to get involved. You can pass out a business card, work a table at a gun show, or simply like us on Facebook, your help is truly appreciated and will not be forgotten! ​Become a coordinator in your city or county. 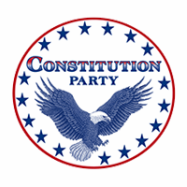 Have a passion for the 2nd Amendment, pro-life legislation, education, or just about anything? Then contact so we can get you in contact with people in your area. Receive Email Updates Vote for Constitution Party in Local Elections Promote the Constitution Party on Social Media and Email Serve on a Party Regional or County Executive Committee Make Phone Calls for Candidates Go Door to Door for Candidates Pass Out Pocket Constitutions at a Gun Show Table Put a Sign in Your Yard or Business Host or Speak at an Event Recruit Candidates or Run for Office Start a student Constitution Party of Mississippi Oganization at your high school or university.